As one of China’s six ancient cities, Beijing’s history is steeped in significance and power. For centuries the city was considered the heart and soul of China, not much has changed with modern day Beijing now the capital of the People’s Republic Of China, and still the nation’s economic, cultural and political center. Beijing city’s unparalleled ancient history and modern day prowess has catapulted it into one of the world’s most visited destinations. Attracting millions of tourists and business travelers alike. 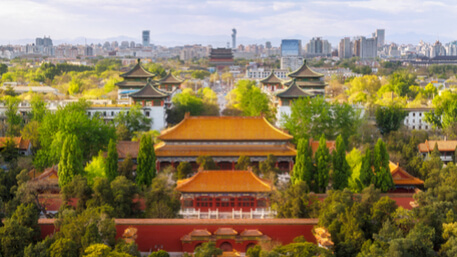 If you’re fortunate enough to be one of them, our Beijing city guide will ensure that you’re well prepared before making your trip to one of the world’s most popular cities. So what makes Beijing special? The list is almost endless. Whether you’re visiting on holiday and plan to be captured by the charms of the Forbidden City at the gates of the city, which boast landmarks from the Ming and Qing dynasties, as well as worldwide favorites like the Great Wall of China, the Summer Palace and Hutong. 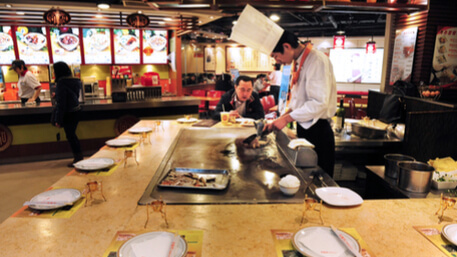 For business travelers, the enormous thriving economy of Beijing city is an obvious draw. As the capital city of the world’s most populous nation, there is a seemingly unlimited number of business opportunities to immerse yourself in. Beijing is China’s second most populous city, with an estimated 18 million people calling it home at the last count in 2015. With the estimated figure now closer to 20 million people, and a couple million tourists that visit each year, Beijing city is a crowded place. That means that the public transport networks are likely to be busy at most times of the day. Have your destination is written down beforehand in Mandarin: to hand to your driver. This eliminates any language barrier confusion, most hotels, and airport help desks are happy to write it down for you. Avoid getting in taxis without a running meter: all licensed taxi drivers in Beijing will begin the meter once you get inside the vehicle, if it was running before hand you will be overcharged. Pay in small bills: drivers are unlikely to keep large amounts of change on them. Swap out your larger bills at the airport before getting inside a taxi. Keep your receipt: when paying for your ride, always keep the receipt that the driver prints from the meter. It has all his details on it if you need to report an incident or track down lost luggage etc. 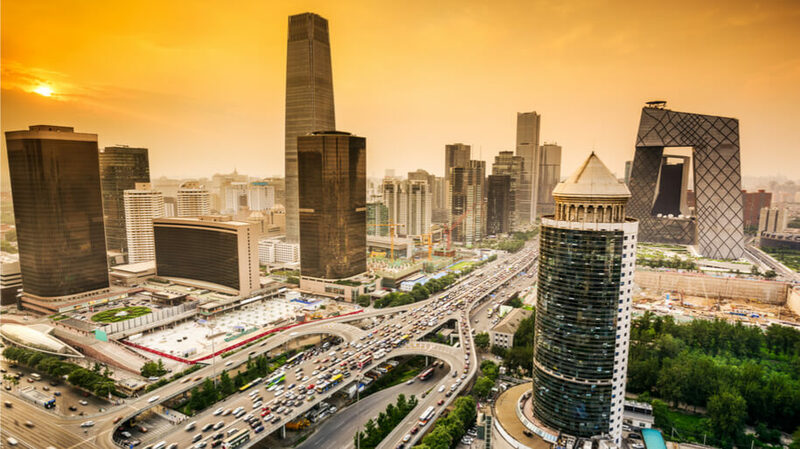 If taking a taxi seems like too much of a hassle and stress, arranging your Beijing airport transfer with a reputable car service is the most logical option. 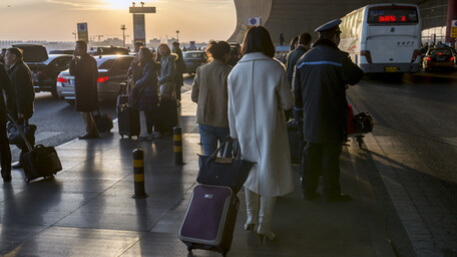 With flexible arrangements that accommodate flight delays, safe and reliable vehicles and English speaking drivers, it’s no wonder that most experienced travelers through Beijing chose to make use of the convenience and hassle-free transport on offer for their Beijing airport transfer. If you plan on avoiding the roads altogether, the airport express train is also a viable option. The express train departs from terminals 2 and 3 between 6:30 AM and 11:00 PM each day and runs directly into the Sanyuanqiao districts, where you can find a taxi or get a car service to your final destination. 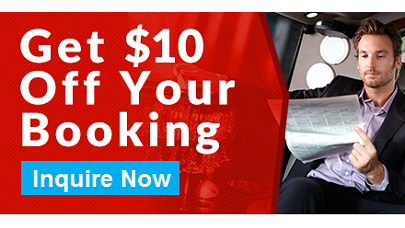 Where to stay for business? Located near Chaoyang metro stations for easy access to the public transport networks should you need them, the Westin has everything you would expect from a big name 5-star hotel in a major city. With all the usual luxury comforts in each room and high-speed internet throughout, there is little wonder why it’s a popular choice. Perks for business travelers: The business facilities on offer near the lobby, which boast workstations, meeting rooms and conference facilities offer every office comfort you would expect. The executive lounge on level 34 is well known and a great place to host an after-work meeting or unwind with a drink. Tripadvisor rating: Over 1200 views reckon that the Westin is consistently great at 4.5/5. Another centrally located five-star offering, where the staff is renowned for going the extra mile. 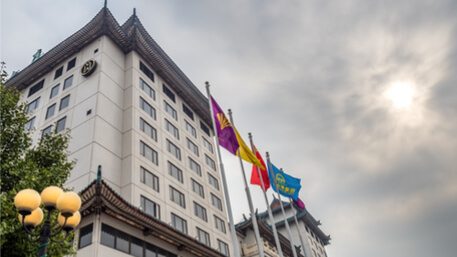 With a beautiful setting in central Beijing, and surrounded by some of the region’s most sought-after restaurants, the Sofitel offers 5-star comfort on the doorstep of cultural Beijing. Perks for business travelers: The restaurants nearby are a perk for both business and holidaymakers. The hotel is equipped with high-speed internet that enables you to get work done from your room should you need to. The hotel is a famed wedding venue that doubles up as a handy conference center, which offers work pods in its lobby if you need to make use of them. Tripadvisor rating: Over 1500 reviewers consider the Sofitel Wanda to be a great stay with an average 4.5/5 rating. There probably is no surprise in knowing that one of the world’s biggest luxury hotel brands offers one of Beijing’s most luxurious hotels. Centrally located with amenities including spas and incredible restaurants to accompany the plush and comfortable rooms with stunning views. Perks for business travelers: Whilst a number of their high-end counterparts also offer business facilities, the Ritz is popular amongst its guests for the secretarial and full office suites its offers for its business guests. Every amenity you can think of is offered. Tripadvisor rating: Over 1000 reviews later and the Ritz is still rated at an average of 4.5/5. Are you planning on visiting Beijing city soon? A private transfer is the safest, quickest way to travel from airport to the city. China Car Service is a trusted transportation service helping business travelers for almost two decades. We provide door-to-door service at competitive prices. Located in the heart of the Chaoyang district, home to most of Beijing’s biggest companies, it’s no wonder that Mosto is popular amongst business travelers. The European themed dishes include a Cantonese flair that never disappoints. With private dining booths on offer, Mosto is well equipped for business meetings over lunch or dinner. Recommended Dish: The lobster or goose liver risottos are regular favorites and sure to wow your guests. Tripadvisor rating: When browsing through the reviews, it’s hard to find a poor one. Rated at an average of 4.5/5. Famed for its impeccable service and incredible meals, the French cuisine on offer at this Michelin star restaurant is on par with any restaurant you may find in London or New York. Recommended Dish: There are so many to choose from but the beef fillet is possibly one of the best dishes you can find anywhere in Beijing! Tripadvisor rating: It’s hard to fault the TRB Hutong and the reviews make that clear, with most reviews averaging 4.5/5. If you’re in the mood for authentic Chinese cuisine prepared exceptionally well, Din Tai Fung is one of the best restaurants found anywhere in China. The private dining rooms are used every day by businessmen and woman holding meetings and impressing their clients. Recommended Dish: The pork dumplings are hard to resist and as good as you’ll find anywhere in China. Tripadvisor rating: Another of Beijing’s finest where finding fault is hard, testament to that is it’s 4.5/5 rating on TripAdvisor. Beijing is considered fairly safe for all visitors. Aside from the taxi drivers who often look to scam you out of extra money, the general city is safe and well policed. It’s still advised to beware of pickpockets and thieves especially along public transport routes in trains or taxis who will happily remove your travel documents or wallet and phone without you even noticing. Beijing experiences a wide range of temperatures throughout the year. Summers are known to be hot and dry with the mercury often reaching 40°C, whilst winter can be just as difficult to manage at nearly -20°C at its worst. The best times to travel to Beijing or most of mainland China really is during the spring and autumn seasons. Whether you’re visiting Beijing city or any other mainland Chinese city, getting yourself a working and reliable VPN is a must. Beijing is not only home to the great wall of China, but also the great firewall. To access applications like Gmail, Facebook, Skype or more you’ll need to connect to a VPN before getting access. The other essential app to carry on your phone when in China is WeChat. Available on both iOS and Android, WeChat has become an integral part of everyday Chinese life. Used for more than just an instant messaging platform, the business now gets done via the app with mobile payments and document transfers just some of its features. If you find this blog useful, please feel free to share it! Have you been to Beijing city recently? What tips or comments could you share with people hoping to do the same? Feel free to leave your comments below!